Iranian Encyclopedia: An Iranian Work to introduce history of Iranians in and around today’s geographical location of the country. 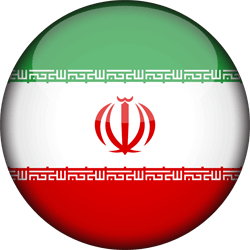 Wikipedia: To get general information about various topics related to Iran. WikiTravel: To discover the information required before traveling to Iran. Iran Travel Guide: To find out more about Iran and what to do there. Time Zones: Iran is on GMT +3.5 time and is therefore 6.5 hours behind Australia. Voltages and Plugs: Iran uses 220-240 volts. Plugs are of the two-round-pronged European type and also the three-narrow-pronged British variety. This list will continue and provide more useful information for those who are planning to travel to Iran. Please don’t hesitate to introduce your site to us ONLY IF it provides a wide variety of information about Iran and particular aspects of its arts, culture, etc. Your website should be in English. Note: Aria Dokt Tour & Travel Operator Co. doesn’t enter into link exchange deals. Please don’t send us emails with this in mind.